We are a law firm that places our clients first. You could talk with a bankruptcy attorney today to explore how our services can provide you with the help you need. For over a decade our bankruptcy law firm has provided clients throughout California the ability to file for the bankruptcy relief needed to reset their finances and enjoy a fresh start. 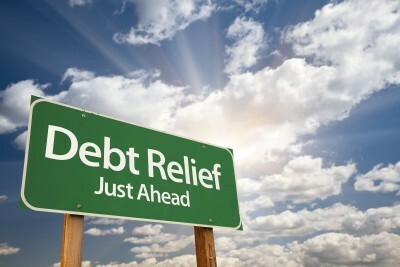 If you qualify to file Chapter 7 bankruptcy we can help you regain control of your finances. You may be able to erase all of your debt: medical debt, credit card debt, debt from judgments and a multitude of other types of debt. We provide representation for individuals and married couples filing consumer bankruptcy with a special focus on Chapter 7 bankruptcy. Chapter 7 bankruptcy allows you to wipe out most unsecured debt immediately putting an end to harassing bill collectors and garnishments from creditors. Your eligibility and qualification to file under Chapter 7 depends in large part on your average monthly income during the preceding 6 months before filing along with the value of your combined assets. To ascertain whether you qualify we will calculate the numbers through a special program set up to run what is commonly referred to as the “means test.” This is a necessary step if you are intending on filing bankruptcy. We are happy to provide this important service to you free of charge. Additionally, keep in mind that our law firm will begin working on your behalf with only a $100 retainer fee and we accept easy payments at no interest. This will provide you with the ability to stop harassing phone calls from bill collectors right away. Chapter 13 bankruptcy frequently allows you to reduce or eliminate many of your debts, then combines the debts that remain into a repayment plan. This type of bankruptcy allows you to repay your debts and to also keep property you wish to retain. This is likely to allow you to maintain possession of your house and car. People that don’t qualify for filing under Chapter 7 will often decide to file bankruptcy under Chapter 13. These two options are very different, and each have their own benefits. We will work closely with you to assist you in deciding what option is best for your needs and goals to better assure your ultimate financial recovery. When filing for bankruptcy it is essential that you work with an attorney possessing both the knowledge and experience to navigate you through the process successfully. We will tailor our assistance in a manner that your situation requires. Our approach is truly personalized for our clients specific needs. We often take calls from clients that are interested in simply filing bankruptcy online. Filing for bankruptcy protection is an involved process. We strive to make it as easy and as affordable as possible. However, the process involves providing the court and the bankruptcy trustee a great deal of information that examines your financial situation. Consumers filing personal bankruptcy are wise to select a law firm they feel most confident in working with. Talk to us and find out what sets our law firm apart from the others.